Today, in an 11.15am special statement, Theresa May announced that she will be calling a snap General Election on 8th June. Following expected the parliamentary approval of a two thirds majority, the United Kingdom is destined to have its first snap election since Margaret Thatcher’s victory over Labour in 1979. As with any significant political event, there will be (indeed already is) a plethora of analysis, commentary and speculation. Why did Theresa May choose to call one now? Why did she previously reject rumours of a snap election? How will Jeremy Corbyn, the Labour leader in dire straits, fare? Will we see a resurgence of the Lib Dems behind the Brexit-sceptic banner of Tim Farron? How will the EU negotiators view this development: as a sign of May’s insecurity; or a bid to bolster her national support? Amidst all the sound and fury and focus on these issues, however, something very different struck me at first. Incredibly, Theresa May has U-turned yet again. This is now proving to be a rather common occurrence in the May tenure. In November, the government performed a double reversal of education policy. The first abandoned its “education for all” bill, just after it had been included in the most recent Queen’s speech at the time. Quickly afterwards, May doubled-back on plans to introduce new grammar schools in the autumn of last year. With a fresh batch currently on the horizon, you would not be blamed for waiting until the bricks are actually delivered and the cement mixed before believing that this was actually going to go ahead. More infamous, of course, was Philip Hammond’s (and by surrogate, that of Theresa May) miraculous decision to reverse changes to self-employment tax the day after he announced them in Spring Budget. It was almost as if he had to hear the words come out of his own mouth to realise that he did not like the sound of them after all. These are just a few examples of many. 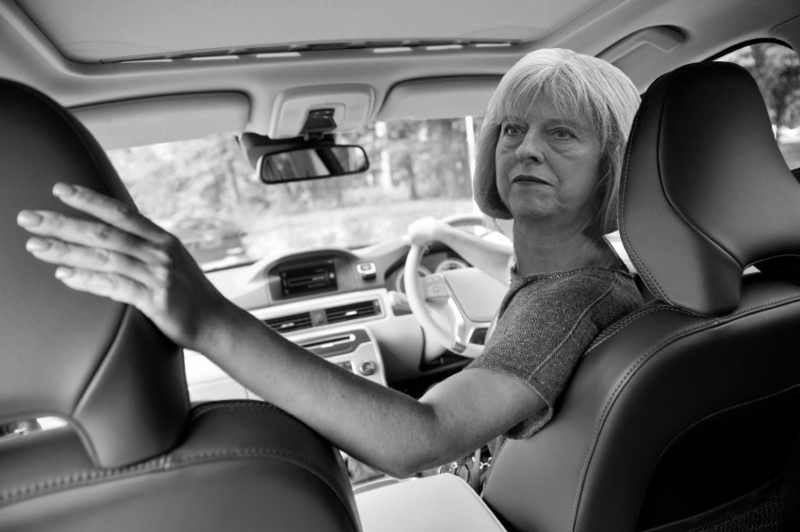 In fact, Theresa May recorded an impressive five U-turns in her first three months of government. All of this begs the question: why? How can this come from a politician once considered so conservative and cautious that her former boss, David Cameron, dubbed her “Submarine May”? If you have ever watched House of Cards, or The West Wing, you will have seen how much deliberation goes into even the smallest decisions and announcements in the world of politics. For somebody so experienced to make this many ill-conceived blunders is simply unbelievable. It is more likely, then, that this tactical U-turning is not really blundering at all. Perhaps May likes to test the waters when it comes to policy-making. Perhaps, much like Elizabeth I in the echo chambers of William Cecil and Robert Dudley, there are so many clashing views within her entourage that, sometimes, she backs the wrong horse. Perhaps she is just extremely wary of her small parliamentary majority. Whichever it might be, all of these hypotheses have one underlying trend: an abject disregard of any risk posed by the Labour party. The danger of being decimated for fluctuation by the left-of-centre press is mitigated by Corbyn’s own enormous problems. It is a testament to May’s dominance over Corbyn that her spectacular reversals are being heralded in the media as moments of judicious, candid consideration, rather than those of a flustered PM under constant fire from a competent Opposition. Criticism from Corbyn at Prime Minister’s Questions is all too easy to bat away by turning the tables. Grammar schools have been indisputably proven to benefit the wealthy? You can’t unite your own party, let alone the country. The government’s callous disregard for its refugee commitments to vulnerable children is a blemish on the nation? You lost a seat you held for 70 years in a by-election which was only the fourth time since the Second World War that the government has won a seat in one. It is true that Corbyn has let May off the hook over glaringly perilous situations, such as regarding refugees, crippling benefits cuts and an NHS in rigor mortis. But the truth is that against her easy ad hominem victories there is little defence. Like any argumentum ad populum, the more Theresa May recites the already-established public opinion that Corbyn and Labour are incompetent, the more immutable that reputation becomes. It is deadly perpetuating for the Opposition’s woes, and it covers up Theresa May’s cracks effectively too. All of this bodes ill for Corbyn in the run up to 8th June. Theresa May has him in a rut and keeps pushing him further and further down. It also all makes the PM’s decision to hold this election unsurprising. In her moment of omnipotence, a resounding victory would surely be the garlic-laden nail hammered into the Corbyn coffin. Brief embarrassment over occasional U-turns seems cheap purchase for this. Next PostCould the Lib Dems win the snap election?